Myanmar's Supreme Court on Tuesday finished hearings in an appeal case for two Reuters journalists, their lawyer said, as the defence team strives to overturn seven-year sentences on charges linked to reporting on the Rohingya crisis. 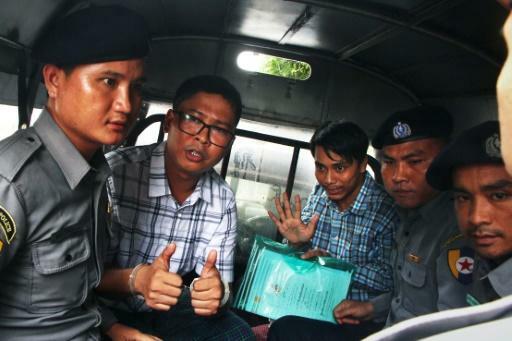 Reporters Wa Lone, 32, and Kyaw Soe Oo, 29, have been behind bars for 15 months since their arrest in December 2017 under the Official Secrets Act. Rights groups and legal experts say the case was riddled with irregularities and their imprisonment and subsequent conviction was punishment for investigating a massacre of 10 Rohingya Muslims. They were accused of possessing classified documents relating to security operations in Rakhine state, the epicentre of a 2017 military crackdown against the Rohingya that forced some 740,000 to flee the country. In January Yangon's High Court rejected an initial appeal, leaving their fate in the hands of the Supreme Court judges in the capital Naypyidaw. 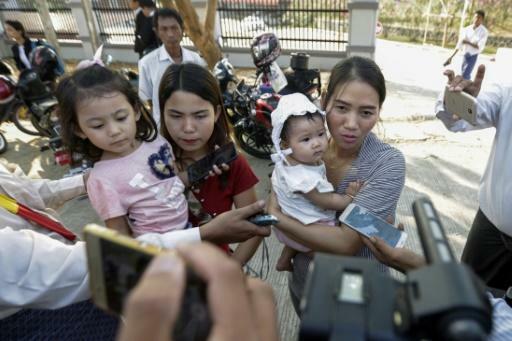 The wives and young daughters of both the journalists travelled to Naypyidaw for the hearing even though the reporters themselves were not present. "We gave the final arguments for the appeal at the Supreme Court today," lawyer Khin Maung Zaw told AFP, adding that he expected the court to take about a month to reach a decision. The case has sparked alarm among press freedom advocates and inspired a global campaign, with the reporters appearing on the cover of TIME magazine. A date has not been set for the appeal decision, but if it fails, there are two more chances -- both at the Supreme Court -- once before a panel of two judges and then a full bench appeal, a process that would take several months. Rights groups have heaped pressure on Myanmar's civilian leader Aung San Suu Kyi to use her influence to secure a pardon, but she has so far refused to intervene. The men were arrested while probing the extrajudicial killing of 10 Rohingya men in Inn Din village in northern Rakhine state. The case against them was undermined by testimony from a whistle-blowing police officer who said the pair had been set up in a sting operation. "They are honest, admirable journalists who did not break the law, and they should be freed as a matter of urgency," Reuters Editor-in-Chief Stephen J. Adler said in a statement.